Zebar is an application which may be responsible for the production of unreliable online adverts. In fact, the pop-up, in-text and banner ads may show up because of the activated advertisement-supported program; however, they most likely belong to third-parties. These could be related to the developer of the application SuperWeb LLC. Unreliable third-party affiliates often use vulnerable browser extensions to connect to regular computer users in a more personal manner. This is why Zebar removal is advised. As some may have discovered already, metalzebar.com does not present an authentic download link, despite being the official website representing Zebar. Even though this may be surprising to you, it certainly is not to the malware researchers who have found NetTock, Webrunn, HypeNet, and other SuperWeb applications represented in the same manner. Note that these programs also require removal because they are just as suspicious and unreliable. If you do not want to face the removal of undesirable programs, you firstly need to ensure that the operating system is guarded and then be careful when downloading software. If you are careless with bundled downloads, you may need to delete Zebar and other undesirable programs sooner or later. As you can imagine, getting these applications removed from the system is far more complicated than shielding the operating system in the first place. It depends on your skills and knowledge whether you will be able to delete Zebar manually. 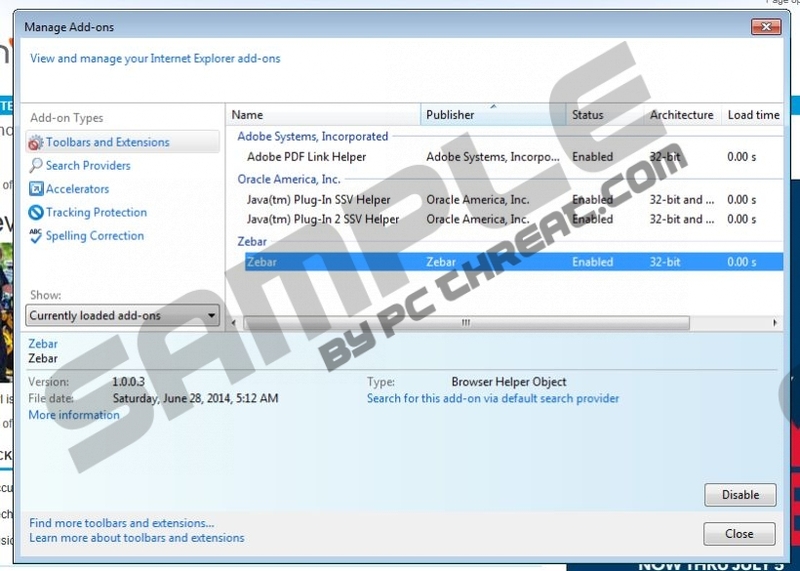 Even though the removal instructions presented below do not seem to be complicated, you cannot dismiss seemingly invisible adware elements or additionally running threats. If you have no clue how to delete these – use automatic malware removal software. 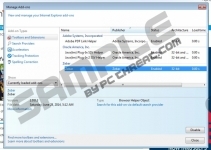 Note that even experienced computer users install this software to keep their operating systems guarded, and so you should not hesitate about this either. Post a comment below if you have more questions. Open the Start menu (find the button on the Task Bar). Select the undesirable application and Remove it. Click Uninstall a program and right-click the one you wish to delete. Now select Uninstall to remove the suspicious extension. Right-click on the Metro UI screen to open a pane below. Select All apps, open the Control Panel and then move to Uninstall a program. Quick & tested solution for Zebar removal.